The MAC Team does research in the field of systems and control theory. We develop a mathematical and theoretical basis for dynamical systems control including modeling, analysis, optimization and design. Generic theoretical and numerical tools are designed for complex systems possibly affected by information limitations and uncertainty. Complexity may arise from essential features present in the system to be controlled or its environment: switches, jumps, isolated nonlinearities, delays or exogenous disturbances. New methods are developed for handling heterogeneous performance requirements and generating performance certificates. We share a common objective: developing constructive theoretical conditions characterizing solutions to various control problems while providing effective efficient computational algorithms. A particular attention is given to validated computation for control in the presence of information limitation and uncertainty. We carry out impactful research ranging from fundamental theory to applied control engineering. 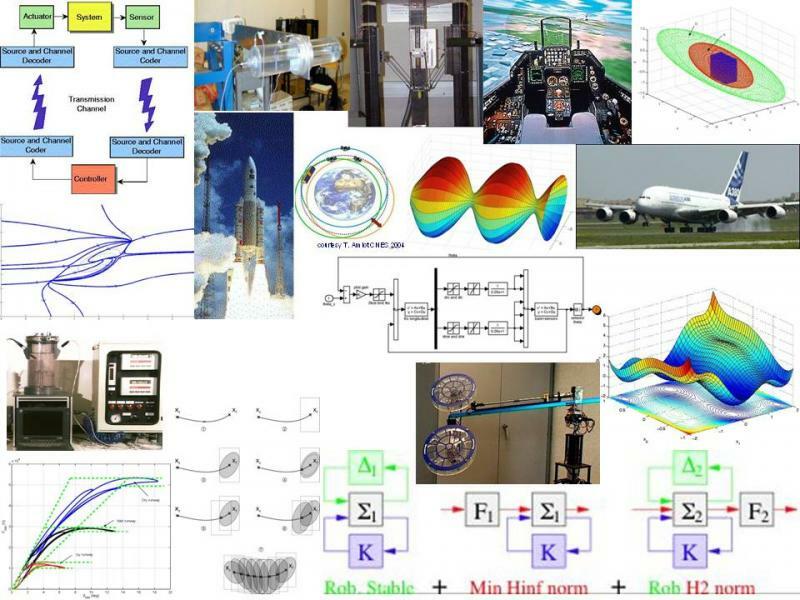 Advanced tools are applied to practical control problems, including robust analysis and synthesis for satellite attitude control and anti-windup systems, design and analysis of flight control laws, control and observation of TCP/IP based networks, robust control of power electronic devices, observation of bio(techno)logical and environmental processes. Although the scope of the team’s interests has recently extended to a broader range of control systems applications (control of the depth of anesthesia, including the control of the analgesic drug, robotics, flexible structures), much of the applied research is centered around the development and application of advanced control techniques to aerospace systems (space rendezvous and proximity operations problems, attitude control, flight control laws).